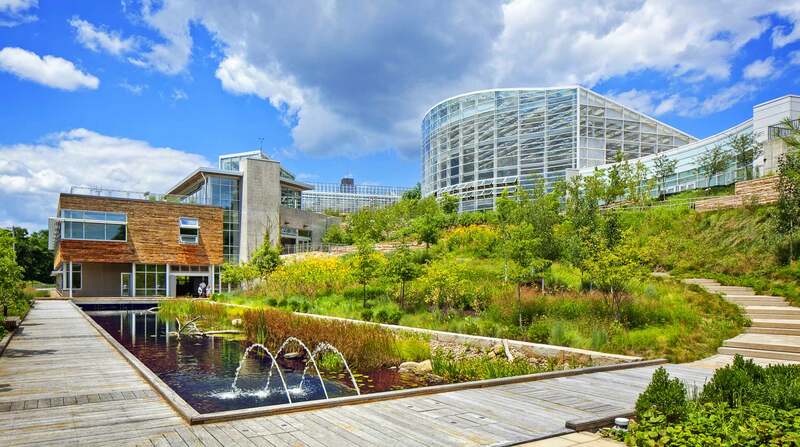 As Phipps’ education, research and administration facility, the CSL is an integral part of the Phipps visitor experience as a "living museum," focusing attention on the important intersection between the built and natural environments, and demonstrating that human and environmental health are inextricably connected. 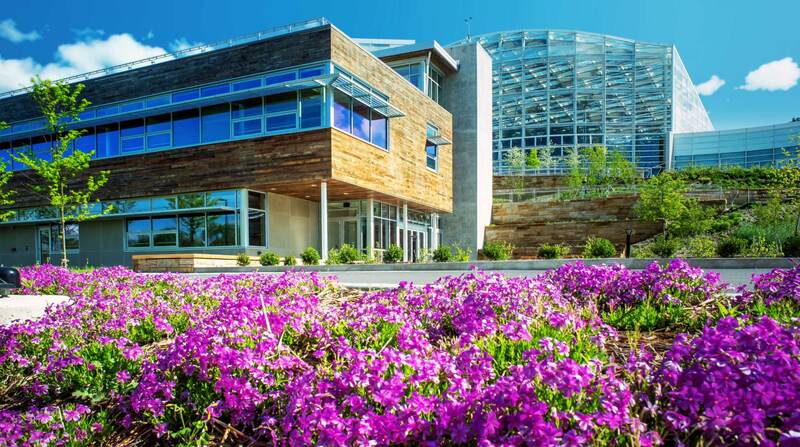 Your visit to Phipps includes access to the Center for Sustainable Landscapes, allowing to explore one of Earth’s greenest buildings for yourself. Docent-led tours and group options are also available. 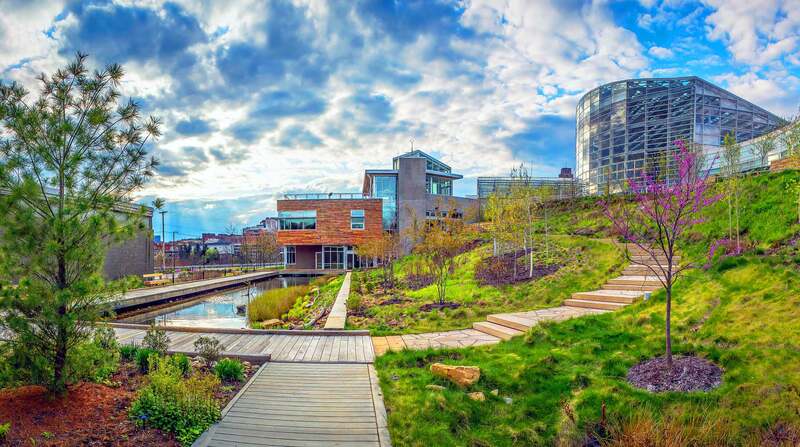 The Living Building Challenge calls for the creation of building projects that operate as cleanly, beautifully and efficiently as nature’s architect. 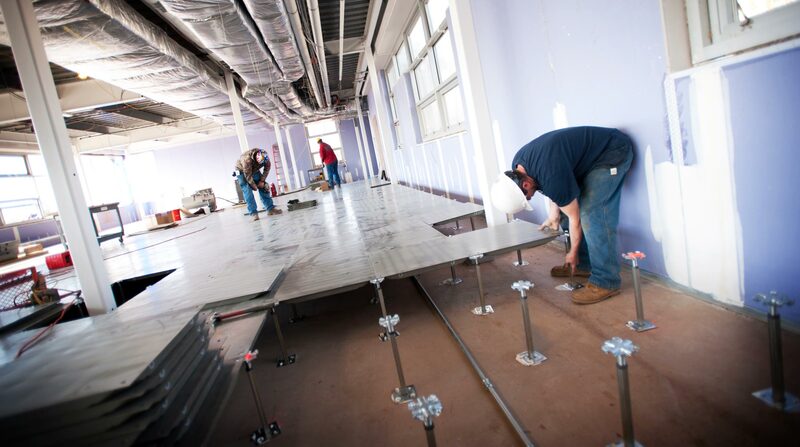 To be certified, they must meet performance requirements in six “petal” areas over 12 months. 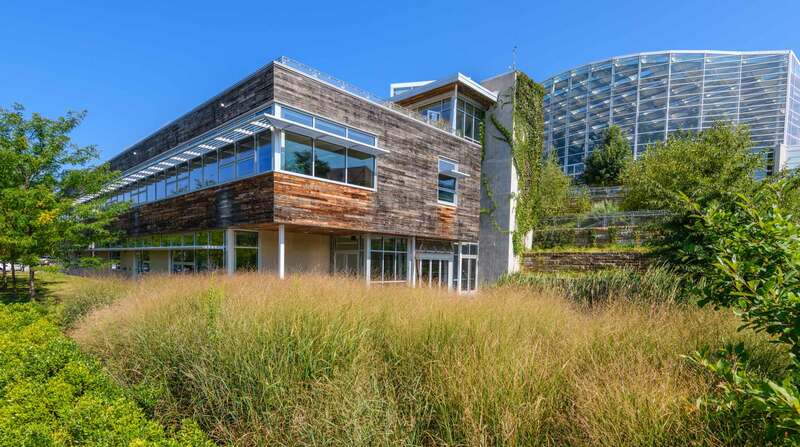 In 2015, the Center for Sustainable Landscapes became the first building in Pennsylvania to achieve the Living Building Challenge. 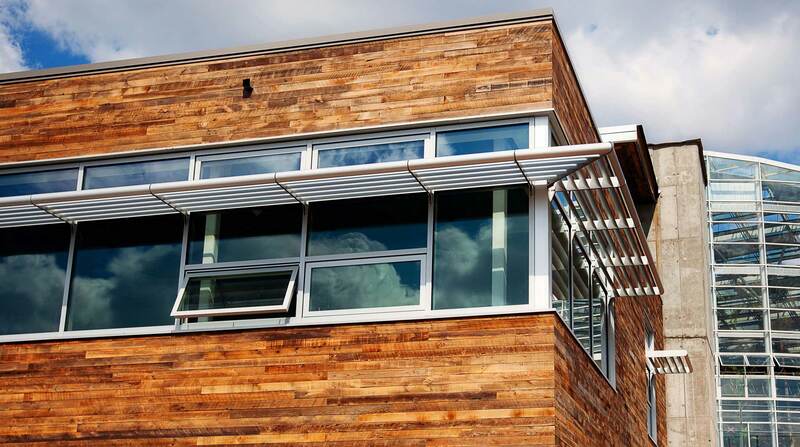 The CSL was designed to achieve net-zero energy status on an annual basis, meaning that, over the course of a year, it is expected to produce more energy than it consumes. In addition to generating power with a vertical axis wind turbine and photovoltaic solar panels, the CSL also takes advantage of geothermal wells, and passive cooling, heating and lighting methods, to operate more efficiently. 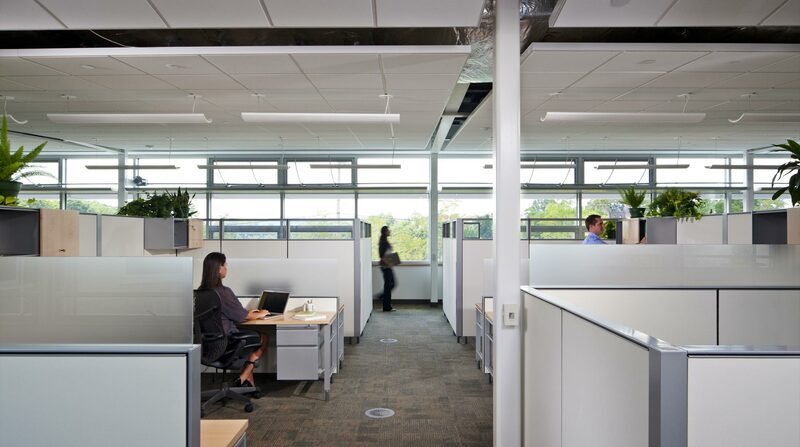 Strategic window placement, light shelves that direct the sun’s rays and reflective ceiling material all allow for daylight to naturally illuminate the interior 80 percent of the time, reducing the need for energy-intensive artificial lighting. High performance insulation and low-e windows help keep heat inside during the winter and outside during the summer. 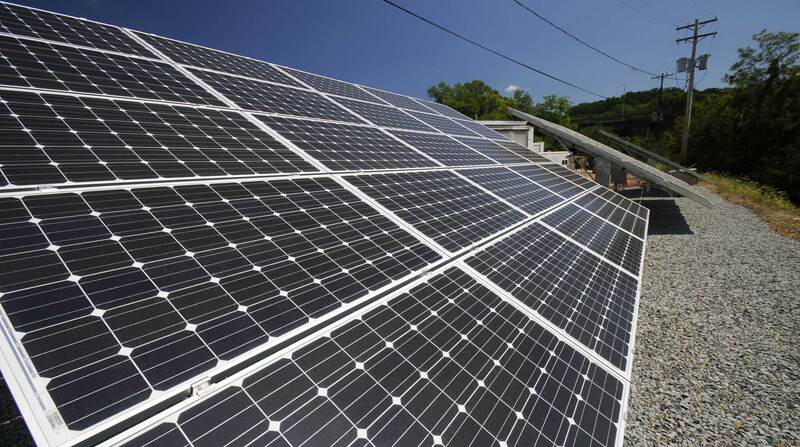 Onsite photovoltaic solar panels, positioned and oriented based on several sun-tracking studies, are expected to generate enough electricity to meet energy needs on an annual basis. 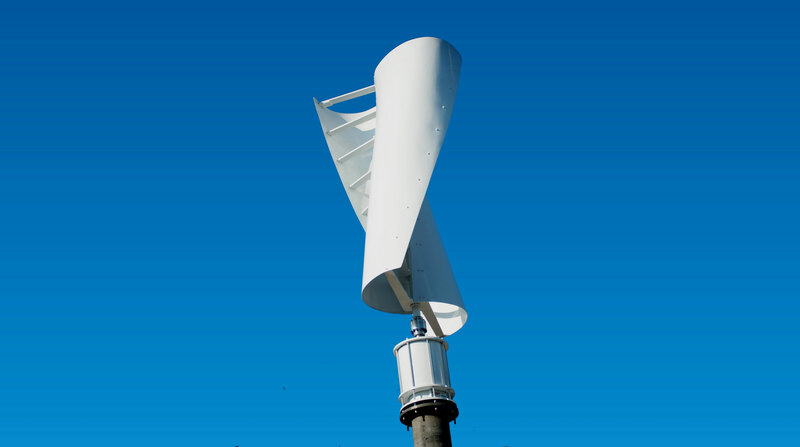 A vertical axis wind turbine, the first to be commissioned in the City of Pittsburgh, can produce energy with winds as low as 4.25 mph. 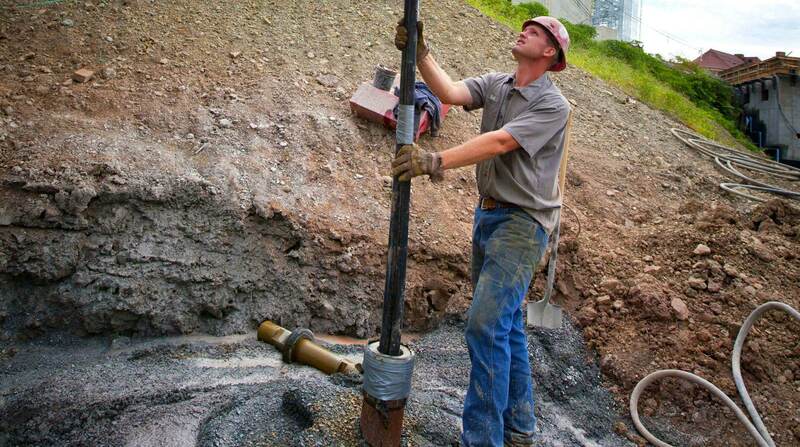 A series of geothermal wells buried 500 feet below ground are used to capture heating and cooling energy from the earth’s consistent 55-degree temperature. 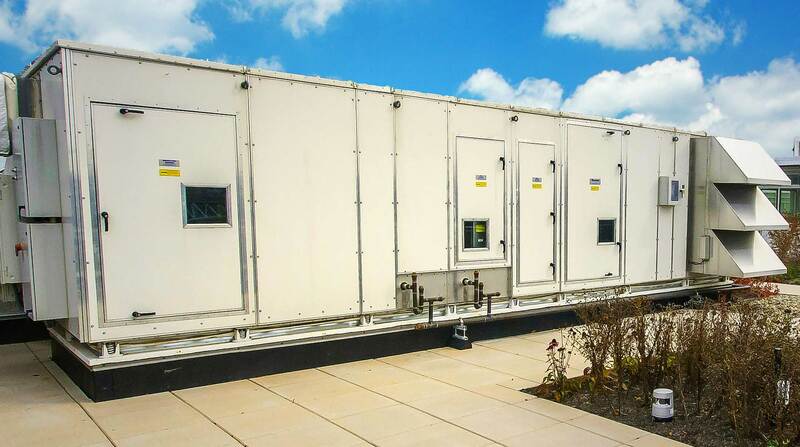 Working in conjunction with the geothermal wells, a Rooftop Energy Recovery Unit is expected to reduce HVAC energy requirements by 40 percent. Water — a precious natural resource that supports all life — is becoming an increasingly scarce commodity, making global conservation a great necessity. At the CSL, we do our part by employing several strategies to capture and treat all water on site for later use. This lessens impact on the City of Pittsburgh’s combined sewer system, which diverts sewage into our waterways when it overflows. All sanitary water that comes from sinks and fountains, and that is used to flush toilets, is treated on site and reused for flushing. Carrying out this task without chemicals is a constructed wetland that uses natural processes involving plants and microbes, and several sand filters. Any excess is then treated using the Epiphany system, a solar-powered distillation unit that makes water suitable for use in irrigating some of our more delicate orchids. A lagoon situated in the landscape works to store rainwater while replicating the natural water treatment process that occurs in wetlands and marshes. 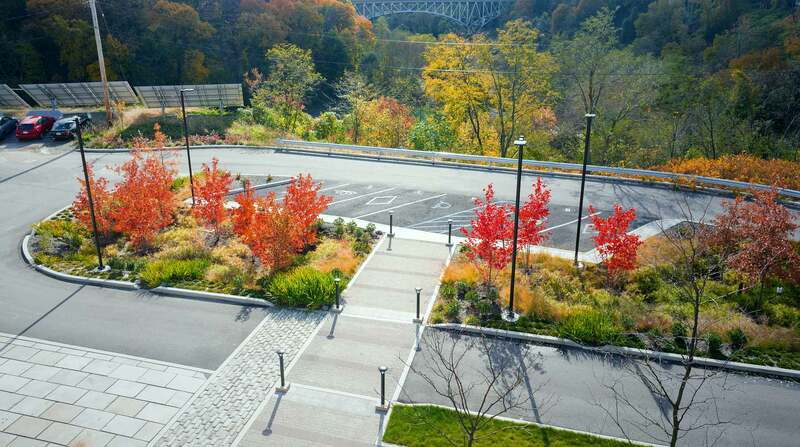 Rain gardens, pervious asphalt and a green roof prevent run-off by allowing rainwater to seep back into the ground, while excess is stored for reuse in 80,000-gallon underground rain tanks. Salvaged materials comprise 10 percent of those used, including siding made from deconstructed western Pennsylvanian barns, Belgium block, granite and old Department of Public Works fuel tanks that have been safely converted to store cleaned sanitary water. 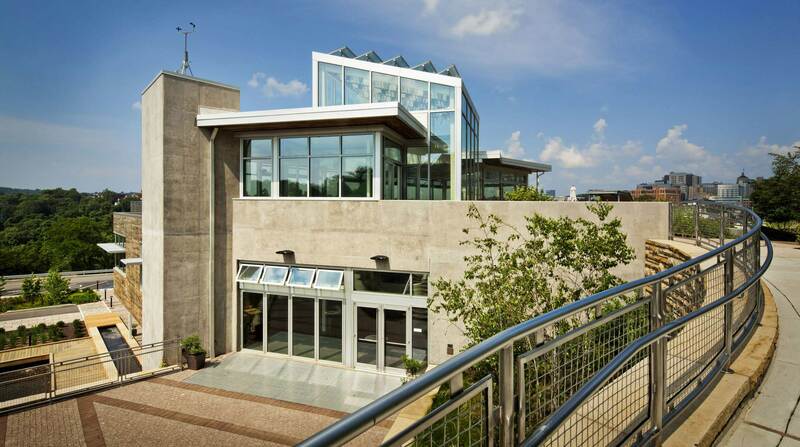 Recycled materials — such as structural steel, insulation, rain tanks and flooring — account for 30 percent of those used on site. 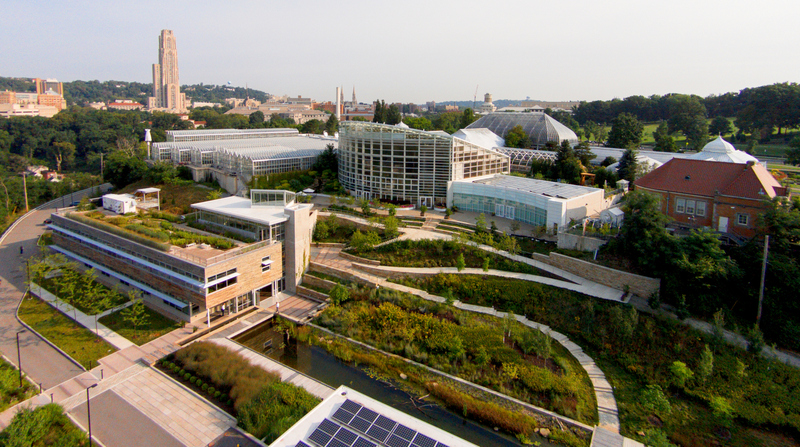 Regional materials harvested, extracted or manufactured within a 500-mile radius of Phipps make up 82 percent of the total required to develop the building and landscape, including soil, plants, stone, concrete, steel and glass. 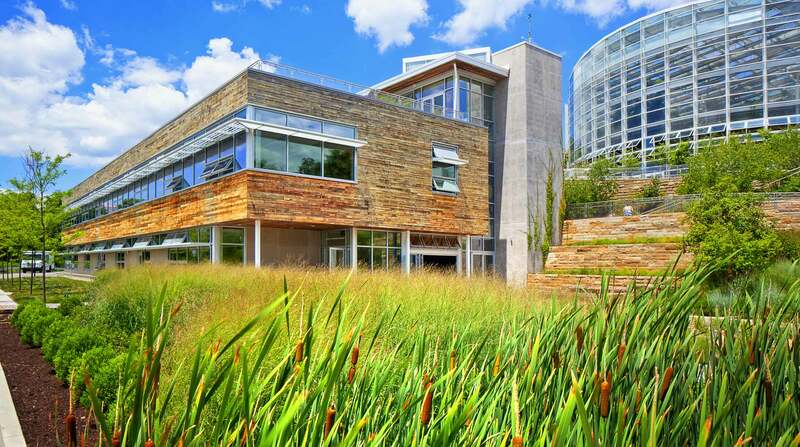 All materials were sourced in compliance with the Living Building Challenge’s Materials Red List, which identifies the toxic chemicals most commonly used by manufacturers. 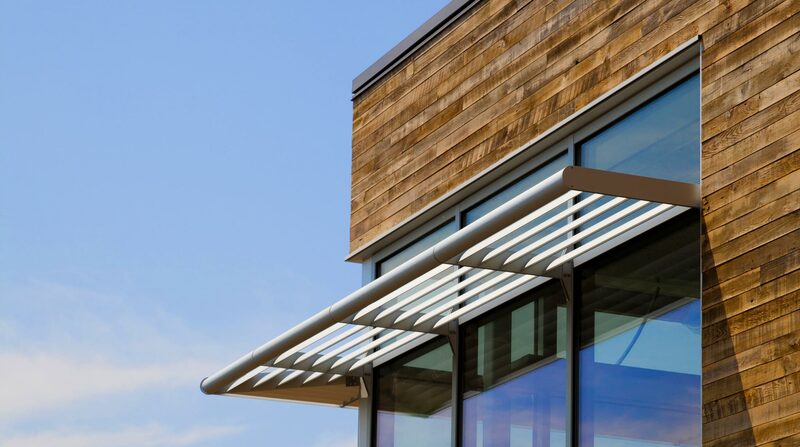 Principles of sustainable design carefully dictate both where and how to build so that new constructions work with, rather than against, nature. The CSL stands on a former brownfield, a space once compromised by the presence of a hazardous substance, pollutant or contaminant. This site has since been successfully restored, and is now healthy and safe for people, plants and animals. 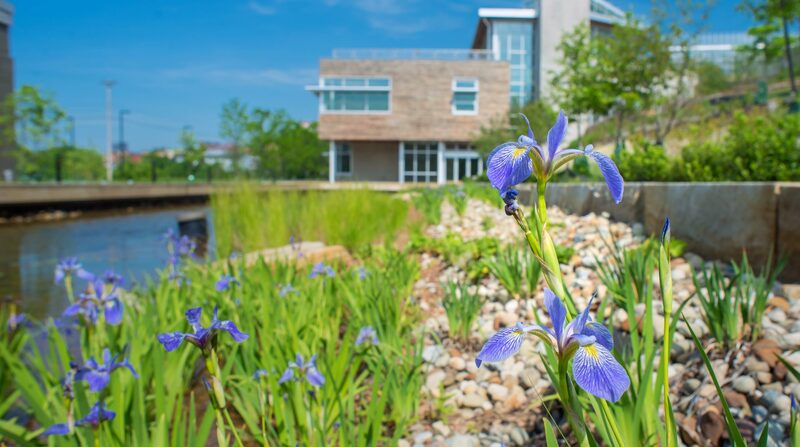 The landscape features native plants that are found growing naturally within a 200-mile radius of the CSL. 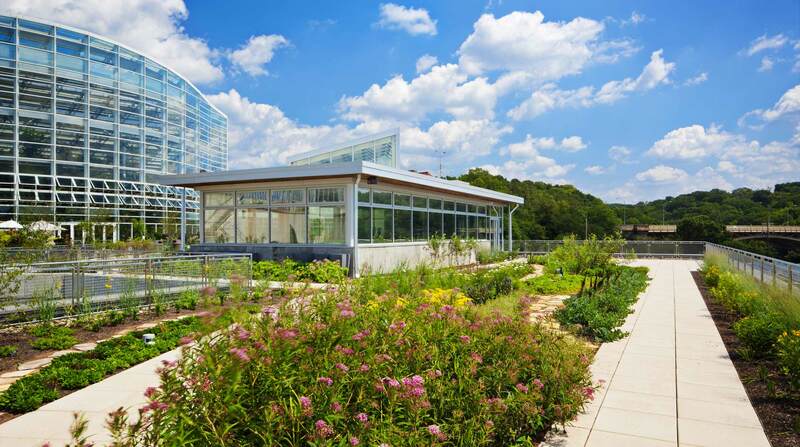 The green roof highlights edible varieties that can be harvested for use in educational programming or at Café Phipps while also insulating the CSL and capturing rainwater for reuse. View the complete plant list. 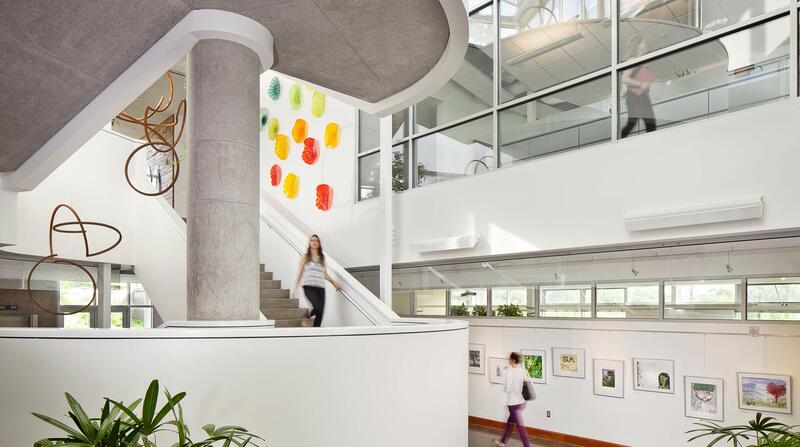 The CSL was designed and built to promote the health and well-being of the people working and learning inside. 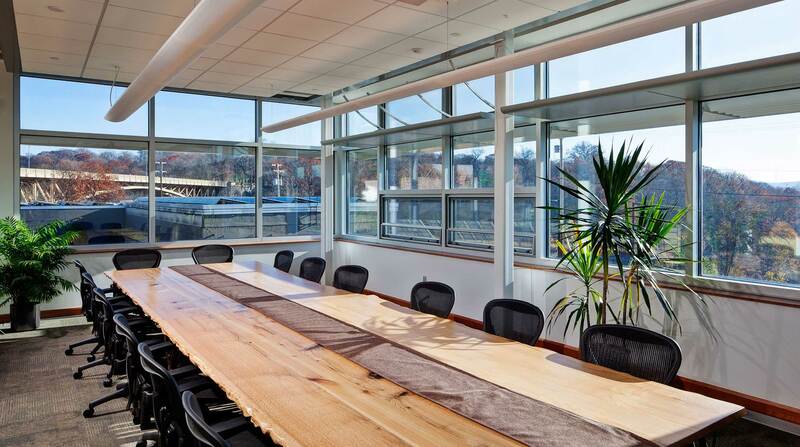 Operable windows provide fresh air and views of nature. 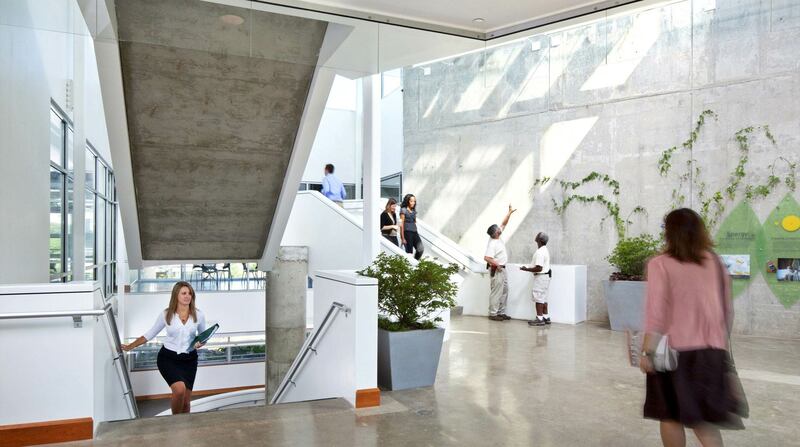 The building orientation maximizes northern and southern exposure, allowing for natural light to illuminate the interior space. Indoor air quality is monitored and conditioned to ensure a healthy atmosphere. 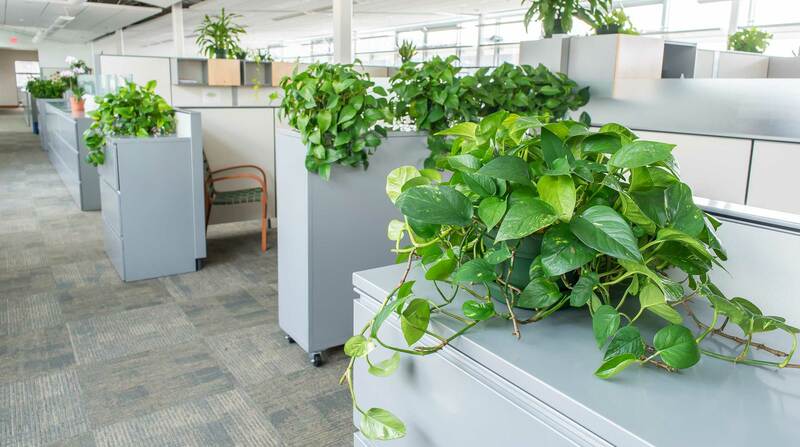 Clean air plants — species adept at removing pollutants —help occupants breathe easier. 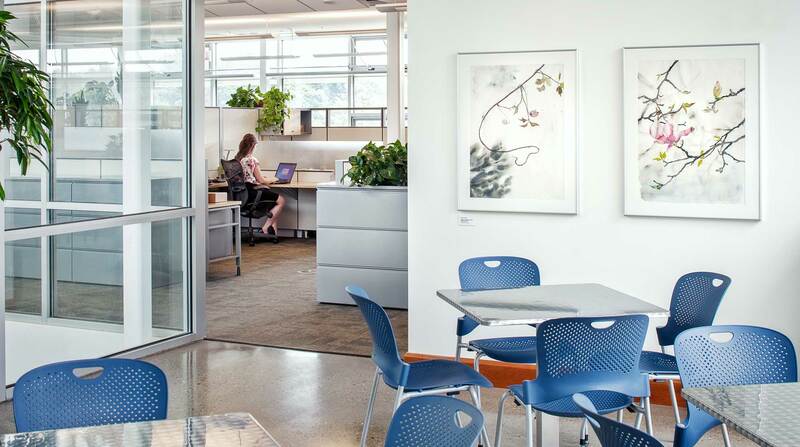 Occupant wellness is advanced through adherence to WELL Building certification standards and a local commitment to employee health and well-being as a Live Well Allegheny Workplace. Beyond the delight this beautiful building inspires in the beholder, the CSL is a symbol of hope for generations to come, providing a glimpse of the harmonious future within our grasp and operating as an important catalyst for change. A key component of our mission is to inspire and educate. The CSL is a place where guests can gain knowledge about healthy, sustainable living, and where children can learn and engage with nature in a living classroom that constantly evolves. 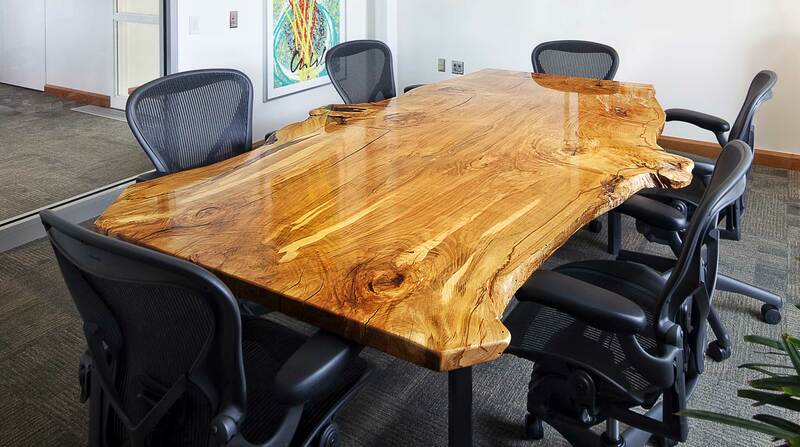 The CSL serves as a global model for sustainable design and operations, helping to inspire others to reconnect with nature now as a means to live more sustainably in the future. 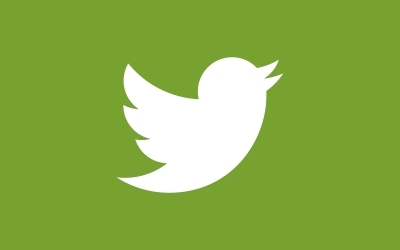 Since 1893, we have been connecting people to plants. The CSL carries on with this tradition by showcasing the vital role plants play in our lives — from cleaning water for reuse to providing food and wildlife habitat within a picturesque landscape. 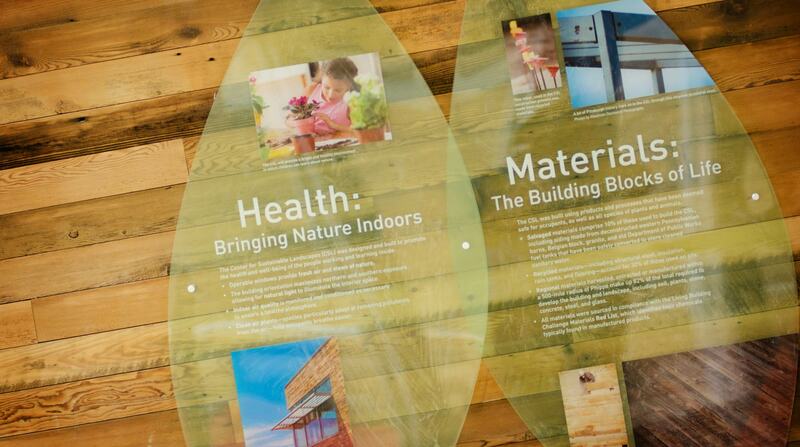 Biophilic art that celebrates the bonds between people and nature is displayed on every floor. 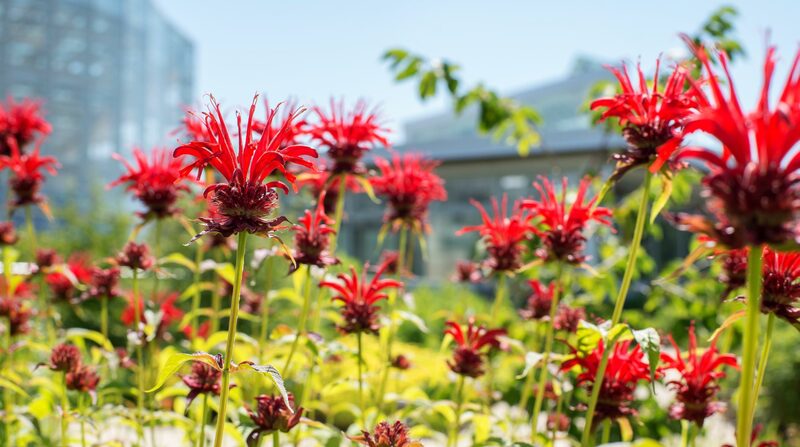 So that we can make even greater advances in the future, the CSL has been designated as a site of continued building performance research aimed at transforming the way that people relate to nature. 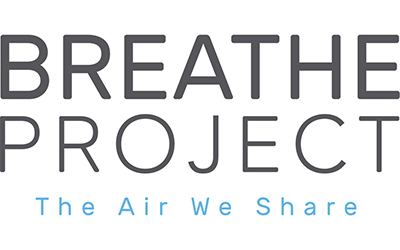 Carried out in collaboration with our academic partners, the Center for Building Performance and Diagnostics at Carnegie Mellon University and the Mascaro Center for Sustainable Innovation at the University of Pittsburgh, the results of our inquiries will eventually be shared with the global community. 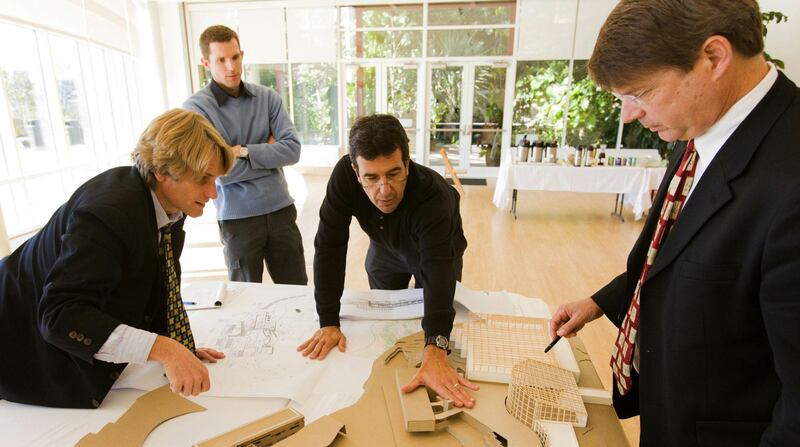 Similarly, the CSL environs offer a wealth of opportunities to study how the strategic integration of building and landscape can provide measurable benefits for people and the planet. 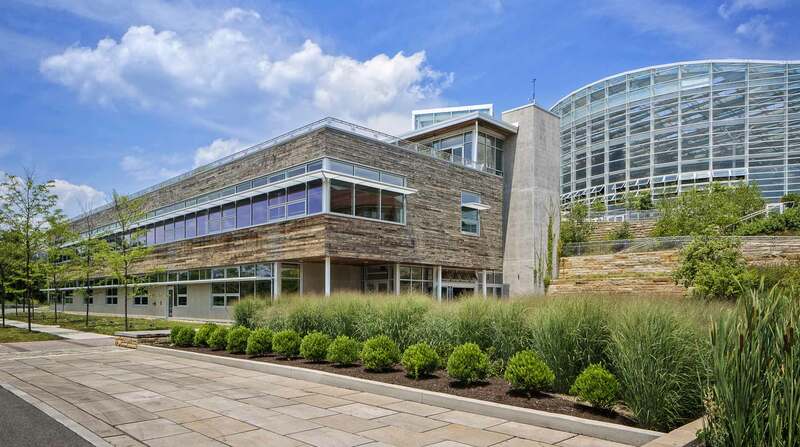 As part of these efforts, the building serves as the home base for Studio Phipps: Sustainable Design Group, which not only conducts its own research and monitoring of site-specific sustainable practices but also offers a wide variety of services to clients seeking to advance sustainability through their projects, helping to build healthier, more vibrant communities. "The Greening of Phipps: A Conversation with the Executive Director"
"Integrative Design at Phipps: A Case Study"
"Phipps Embraces the Living Building Challenge"
"The BETA Project at Phipps: Biophilia Enhanced Through Art"
The BETA (Biophilia Enhanced Through Art) Project is an inspiring collection of art at the Center for Sustainable Landscapes that includes paintings, sculptures, sound compositions and more. Showcasing the work of more than 20 local, national and international artists, it takes the CSL experience to a new level of sensory immersion, enhancing and restoring bonds between people and the natural world.